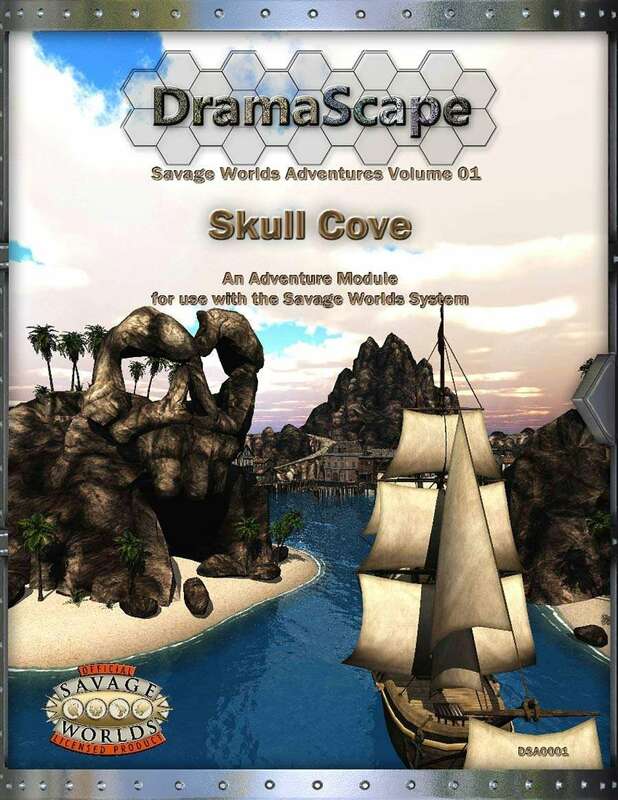 DramaScape makes maps and miniatures for use with any game system with a focus on fantasy, horror, modern, and science fiction settings. 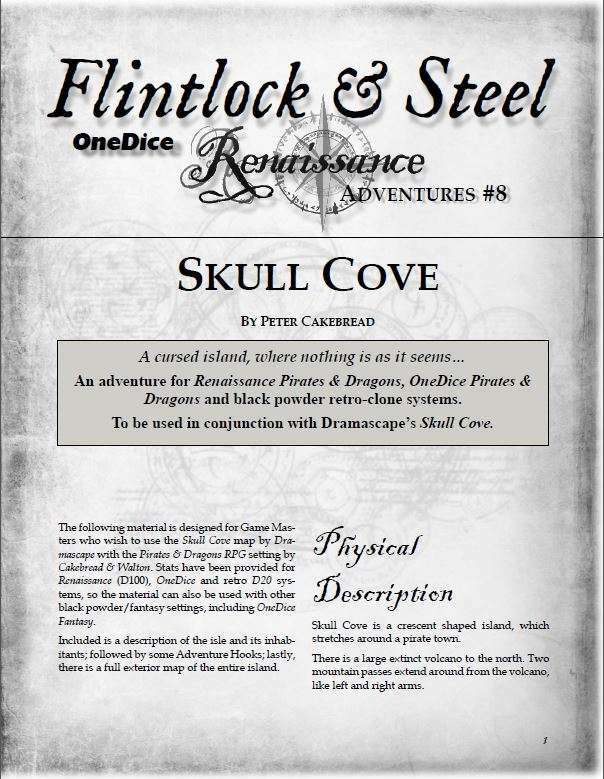 Skull Cove is our second Savage Worlds product following our SciFi Weapon Cards available in PDF and print on demand on DriveThruCards. The map featured herein is a no overlay map.